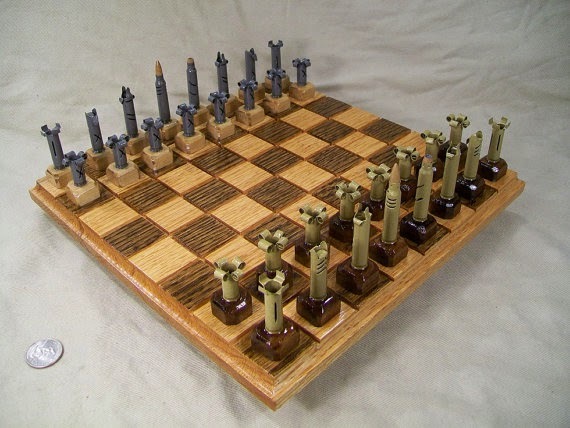 OldeWorldCC makes chess sets out of used brass. .223 set is $315, .50 BMG set is $495, and 20mm set is $555. All are hand crafted so it takes time, and only ships in US.